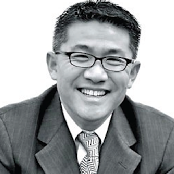 Pastor Joseph Tai is the founder and Senior Pastor of Christian Assembly of Suburban Chicago. His passion is to see believers grow in Christ and live for the zeal of God in the context of the 10,500 mandate. Through his fatherly heart, many have become stronger followers of Christ. Pastor Tai has several Master degrees from Midwestern Baptist Theological Seminary and Taiwan Baptist Theological Seminary. Pastor Joseph is 77 this year and has been married for over 47 years to Ruth Tai. He has 3 sons and 10 grandchildren. Pastor David Tai has a market place call to help the Church rise up as a Kingdom economy – in preparation for the coming Great Tribulation harvest. He has great passion in helping market place Christians understand their Kingdom destinies, their place in fulfilling the Great Tribulation harvest. With an engineering background, Pastor David has worked as a market strategist for several technology companies such as Intel and Samsung. Today, he has fully dedicated his career to propagating the Kingdom preparation message and to establishing the market place vehicles that will help build the Kingdom economic network. Along with his market place pastoral call, David also oversees Villark Ventures, LLC – a company chartered to build strong and godly commercial relationship in the Kingdom economic network. David holds a MBA and M.S. Engineering from MIT. He is the blessed husband of Tzu-Ann and a happy father of three girls – Christianna, Jubilee, and Rhema. 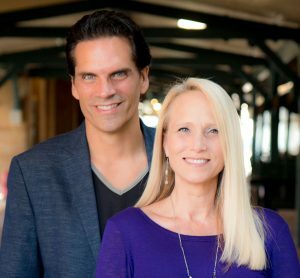 Steven and Rene Springer are the Senior Leaders of Global Presence Ministries based in Madison, WI. Global Presence is an Apostolic Regional Center (ARC) which is fueled by the Global Presence Prayer Room. The Prayer Room is central to who we are and what we do–valuing and hosting a place of God’s presence. The Global Presence Center also includes Equipping and Sending; Community Gatherings (both corporate and home); health and wellness with a fitness center, healing rooms and the Global Presence Apostolic Network of churches, prayer rooms and ministries in the USA and Africa. Steven and Rene flow strongly in the apostolic, prophetic and evangelistic anointing. Their heart is to raise up and release a generation in the fullness of their destiny to transform society with the Gospel of the Kingdom. Their fiery love for Jesus and love for His people have opened the doors to impact cities, regions and nations. They have ministered in places such as Ghana, Uganda, India, Israel, Italy, Taiwan, Korea and Russia. By radical pursuit of the presence of God, following the Holy Spirit, and releasing the Father’s heart, they have seen thousands of salvations and deliverances, as well as miracles, signs, and wonders with the deaf hearing, the lame walking, blind eyes opened, and tumors disappearing. They are given to the vision… Bringing God’s Presence, Advancing His Kingdom, and Transforming Nations. Robby and his wife, Angie, married in 1992, have pastored the Vineyard Church of Aurora, IL since 1996. They feel God called them to plant in a poor urban community, and continually use “power evangelism” to gather for the church. They estimate that over 50% of current attenders have come to Christ at the Vineyard Aurora, and that almost ¾ of those have come through “power” encounters. “In addition to starting and pastoring this church, God has called me for the purpose of building up and equipping the local church with power tools for harvesting,” Robby shares. These “power tools” are prophetic ministry, healing, ministry of the presence of God, and deliverance from demonic power. Robby loves to tell literally hundreds of stories of his personal experiences, which include God using him and others he has mentored through the years to see God’s Kingdom “break in” with signs and wonders. Having been in over 30 countries around the world, God has used him to help build the church internationally as well. He has ministered in many Muslim countries and in 2 of the top 10 most dangerous countries according to Voice of the Martyrs. Mike and Marilyn have been forerunners for “presence-based” children’s ministry for over 30 years. Their heart is to see children and families experience the intimacy and power of God’s love, enter His presence, hear the Father’s voice, love Jesus, and follow the Holy Spirit. Their vision is for children and adults to become a generation that together, would bring the Kingdom Heaven to earth, to influence and transform their world. This passion has led them around the world to equip, train and empower children, parents and leaders. Mike and Marilyn are founders of “Kids In His Presence Ministries” and are producers of “God-Friendly” resource materials. Mike has authored, “Here Comes Heaven”, a children’s version of “When Heaven Invades Earth” by Bill Johnson. Mike is a graduate from UC Davis with a bachelor’s degree in Entomology. Both Mike and Marilyn attended Christ for the Nations Bible Institute, Dallas, TX, and have served as children’s director/pastor at both Bethel, Redding, CA, and Grace Center, Franklin, TN. Mike and Marilyn have two sons and six grandchildren. Pastor Ethan Ko has been serving as a pastor in youth ministry for over 23 years all over the US. He is currently raising up next generation leaders through the R180 Ministry. 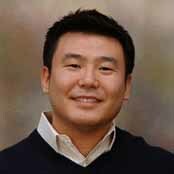 Joon Hwang was born in Korea, grew up in Canada, and began his children & youth ministry as a college student of Moody Bible Institute in Chicago, IL. After graduating from college, he continued to study (M.Div from the Trinity Evangelical Divinity School & M.A. from the North Park Theological Seminary) and led few youth ministries in the Northwest Suburbs of Chicago. He came to New Life Church as a youth pastor in 2004, became an English Ministry pastor in 2010, and now a lead pastor of New Life Covenant Church since May of 2011. He is ordained in the Evangelical Covenant Church. Joon loves to meet people, network with pastors and churches, and eat all kinds of food. He also has a burning passion to see the revival and the transformation in the Chicago region. Joon is married to Julie and they have 2 sons and 2 daughter. Pastor Julie loves teaching kids about Jesus. She encountered God when she was 7 years old, and she believes that every child has the capacity of understanding who God is and other important truths. She enjoys engaging with kids about these issues and likes to challenge them to be counter cultural just like Jesus. Julie is a graduate of Moody Bible Institute, majoring in Missions and also studied Christian Education. Her calling is to serve Jesus in anyway or form He calls her to and her mission is to live out for Jesus to the extreme. She sees everything in her life as a training session and an opportunity to be intimate with the Lord. She wants to live it as she teaches her own children and other kids. Her favorite thing to do personally is writing a journal with a cup of coffee and yummy bread of some sort. Pastor Julie is married to Pastor Joon Hwang. They reside in Buffalo Grove and have 4 children – 2 sons (12 and 8) and 2 daughters (5 and 1). The whole family loves to go for a drive and then for drinks like coffee or smoothies along with donuts. They like to play Uno cards after dinner when they find time in-between their busy family and ministry schedule! Pastor Li is the English Pastor of Christian Assembly of Suburban Chicago and has been ministering in the church since 1995. His work has been focused on helping the bicultural family overcome barriers it faces (i.e. generational gap, language barriers, cultural differences) and be a witness for Jesus within the community. Pastor Li’s passion has been to see young people set themselves apart for Jesus and live a life of worship. “You are the Bible that other people read” has been a catch phrase that encompasses what Pastor Li-Shang has been communicating to the church and those he ministers to. Pastor Li-Shang is married to Hyeon Jong and has four sons.